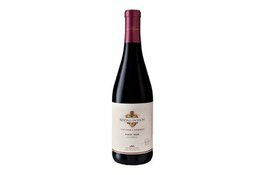 This dark garnet Vintner's Reserve Pinot Noir delivers bright cherry, strawberry and raspberry fruit with elegant earthy notes infused with cola and mild spice accents. Oak aging adds a hint of vanilla and a soft, toasty finish. Plum, raspberry jam and blackberry flavors are supported with solid chalky tannins in this Vintner's Reserve Zinfandel. Sultry cedar and spice accents linger on this captivating, long-finishing wine.